Court Strikes Down New Hampshire's Ban On Selfies In The Voting Booth : The Two-Way A federal judge isn't swayed by concerns that voters could be pressured to cast ballots for certain candidates and post the proof on social media. He says the law violates guarantees of free speech. 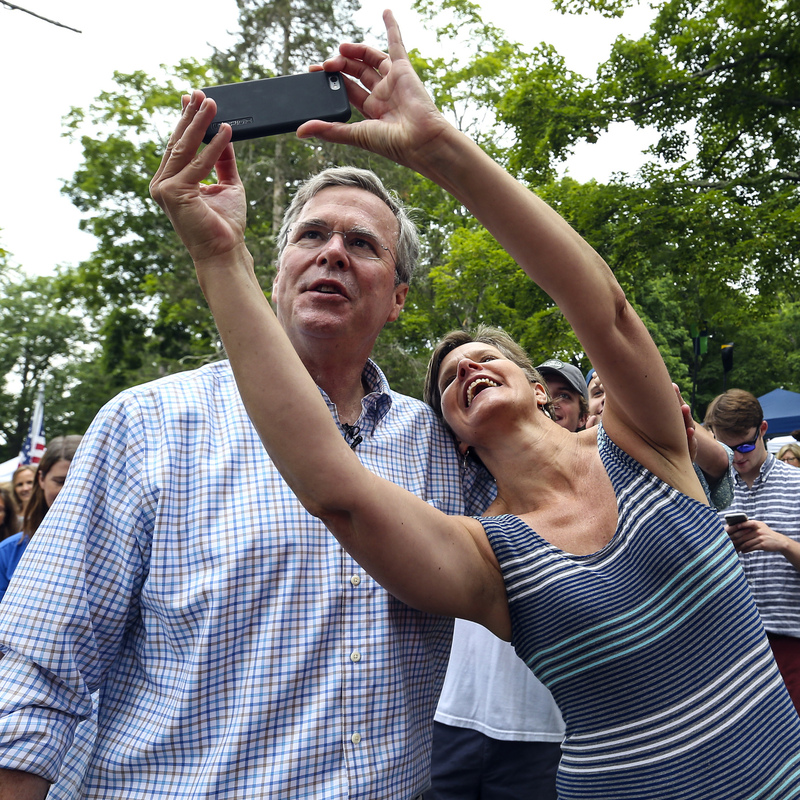 New Hampshire voters can take selfies, not only with their favorite candidates but with ballots marked for their favorite candidates. A federal judge has knocked down a ban on "ballot selfies." A federal court says outlawing "ballot selfies," photos of people displaying their marked ballots, violates free speech rights. The ruling clears the way for New Hampshire voters to post their ballot selfies during the first-in-the-nation presidential primaries early next year. New Hampshire's ban went into effect September 2014 and made it illegal for anyone to post a photo of a marked ballot and share it on social media. The violation was punishable by a fine of up to $1,000. "The logic was that allowing people to prove how they voted could lead to vote selling or coercion. The federal court found those interests insufficient to ban what amounted to political speech." Mashable's Juana Summers adds that the judge found "there was no evidence that vote-buying or voter coercion were current problems in New Hampshire." The photos are protected speech by people who want to celebrate their civic duty, or as NPR's It's All Politics reported last year, people who want to mock the system with a vote for their dog.